Location: Sterling Highway 1, between mileposts 80 through 88, 10 miles east of Soldotna. Population: 4700. The Moose River is centrally located in Sterling, a great birding area for migratory swans, sandhill cranes and one of the exits of the Swan Lake canoe trail system. Sterling offers river access points to the Kenai River at Bing’s Landing State Recreation Park, Izzak Walton State Recreation Park and Morgan’s Landing State Recreation Park. One of Sterling’s best-kept local secrets is the vast Swan Lake canoe trail system and campgrounds. You can just paddle on the lakes or portage and loop all the way through to the Moose River on a multi-day trip. 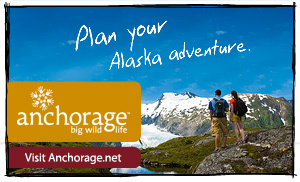 Also located nearby is the Kenai National Wildlife Refuge. Several businesses specialize in canoe trips (single or multi day trips) and rentals for this beautiful area. 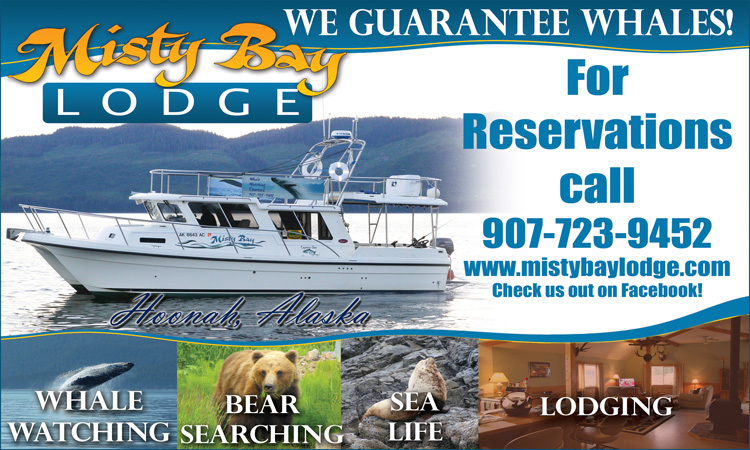 There are many local businesses scattered all through this area including a hostel, lodges, resorts, cabin rentals, B&Bs, RV parks, fishing guides, flying services, dog sled tours, cafes, gas stations, liquor store, tackle shop, bar, fur factory, diamond willow and antler carving shops. Just 10 miles east of Sterling, Jim’s Landing on the Skilak Lake loop road is a favorite spot to launch rafts for the Kenai River Canyon Run terminating in Skilak Lake. Be sure to have a motor on that raft or a power boat pick-up waiting for you because Skilak Lake upper boat launch is six water miles away and in bad weather the waves look more like ocean swells than lake swells. There is a Lower Skilak boat launch and campground too, along with Hidden Lake Campground. Hiking areas abound between Sterling and Cooper Landing, such as Skyline Trail at Mile 61.3, Skilak Lookout Trail at Mile 58, Fuller Lakes Trail at Mile 57.2, Kenai River Trail less than a mile down Skilak Lake Road east entrance, Hideout Trail another mile further and the Russian Lakes Trail to lower Russian Lake, which is handicap-accessible. The Resurrection Trail leads hikers from Sterling all the way to Hope and is dotted with several cabins along the route. Its entrance is one mile before the Russian River. For more information on the trails contact the Kenai National Wildlife Refuge Visitor Center at 907-262-7021 or the Seward Ranger District at 907-224-3374.